We snuck out of Blue Water marina, disturbing the mirror finish on the water, and headed into the sunrise. The valley to the south of Cairns was hiding in rain, but the sky to the north was clear. We arrived at Low Isles with enough time for me to have a swim off the back of the boat – the water was divine. When Wendy and Mark, aboard Temptress – our sister ship, arrived we launched the kayaks and headed ashore. 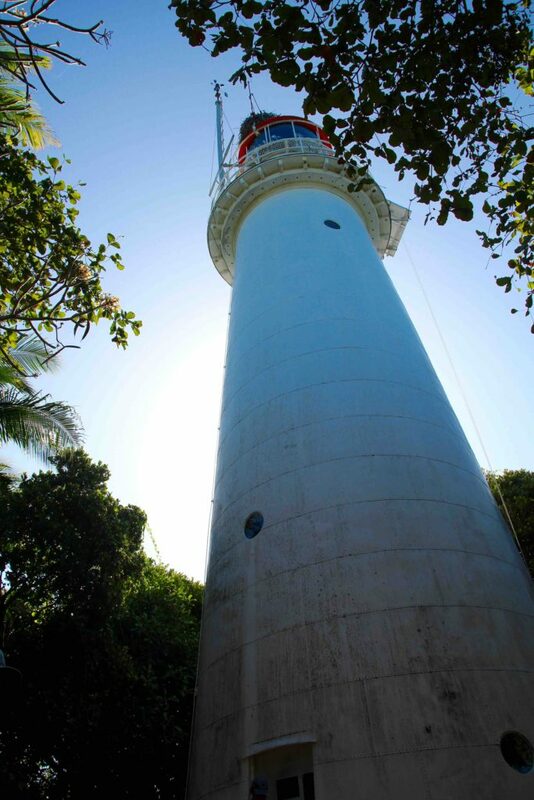 Like so many of the lighthouses around the Australian coast Low Isles has had more than its fair share of trouble. It seems that perhaps the mercury which supported the light may have contributed to the odd light-house keeper descending slowly into despair and mental illness. The first lighthouse keeper’s wife is buried on the island in a grave that looks out over the calm waters to the north. 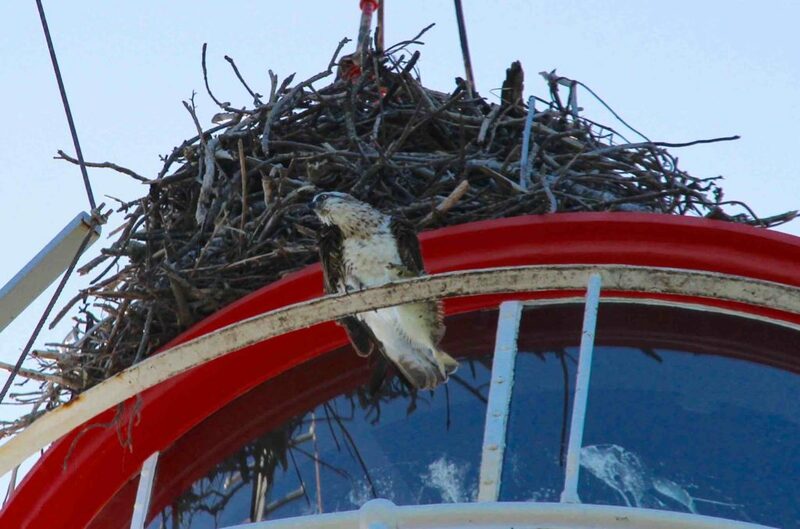 An osprey has claimed the now automated light as its home. You can see the sizeable fish it was munching clutched in its claw. The island itself, with facilities for the day trippers that head out from Cairns and Port Douglas, is serviced with renewable energy – solar or bio-diesel with banks of rainwater tanks. It’s great to see more and more of this infrastructure being installed in tourist destinations. It’s a tiny coral cay in danger of being loved to death so at least part of the ‘footprint’ of visitors is being reduced. 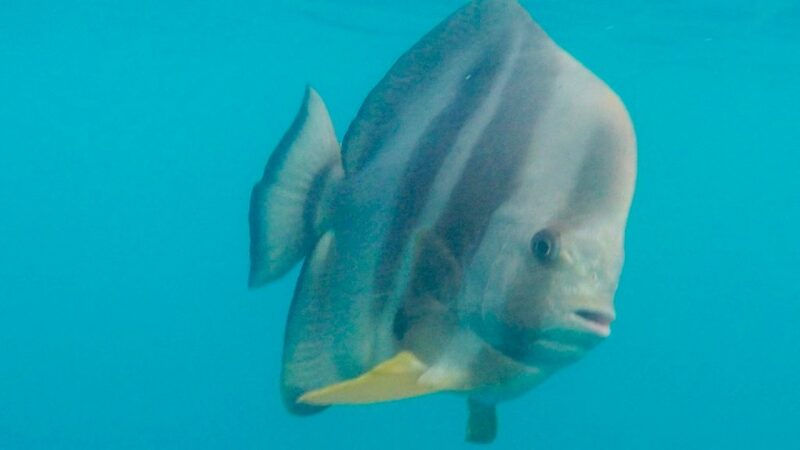 We’re on our way to Snapper Island and then Mackay reef so hopefully we’ll find some wonderful coral to share with you. 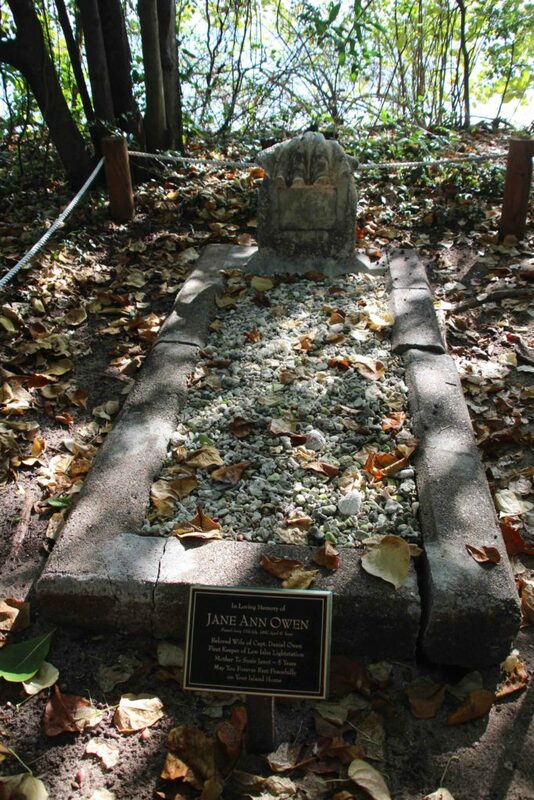 A serene resting place for Jane Owen, the first lighthouse keeper’s wife. The lighthouse is made of fabricated metal and is now fully automated. 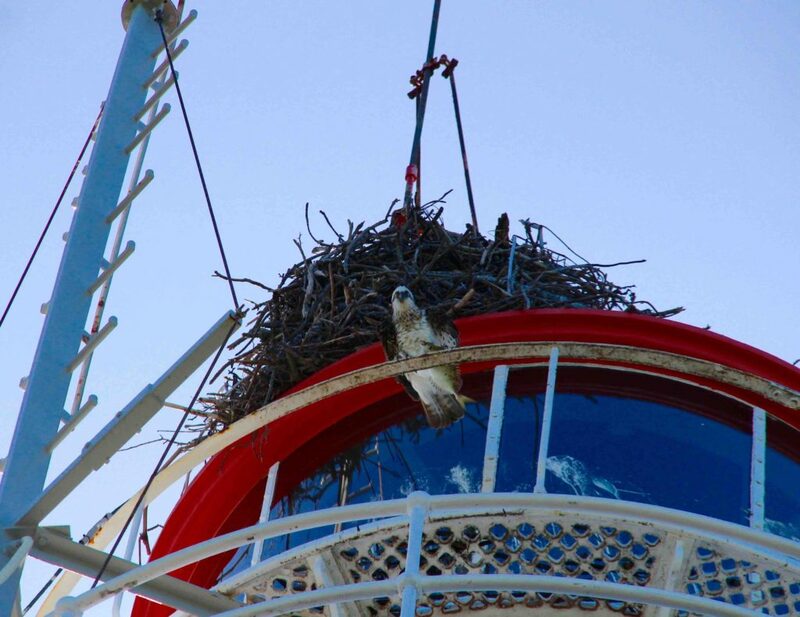 You can see the osprey and its nest at the top. 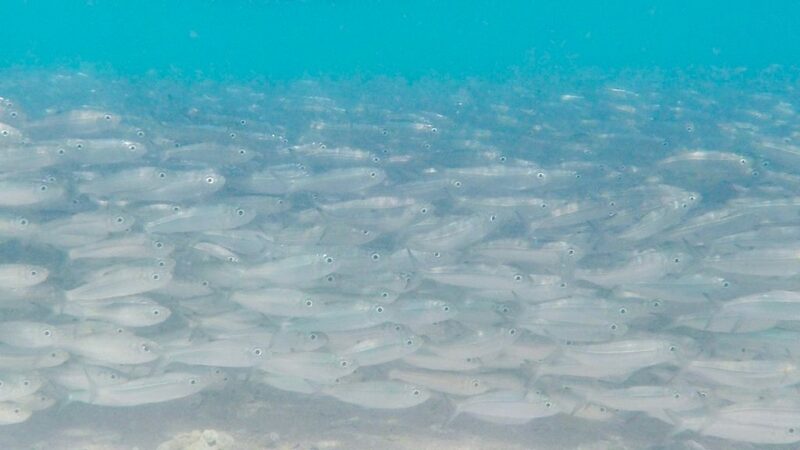 A bait ball playing in the shallows of Low Isle – they didn’t know what to make of the go pro! Blog Adventure, Australian Author, Cruising, Discover Australia, Discover Queensland, Great Barrier Reef, Hachette Australia, Helene Young, Lagoon 400, Low Isles, Northern Heat, Penguin Australia, Penguin Random House Australia, Port Douglas, Roobinesque, Safe Harbour, sailing, Travel. permalink. Was there 1980 ( that sounds a long time ago) loved it. 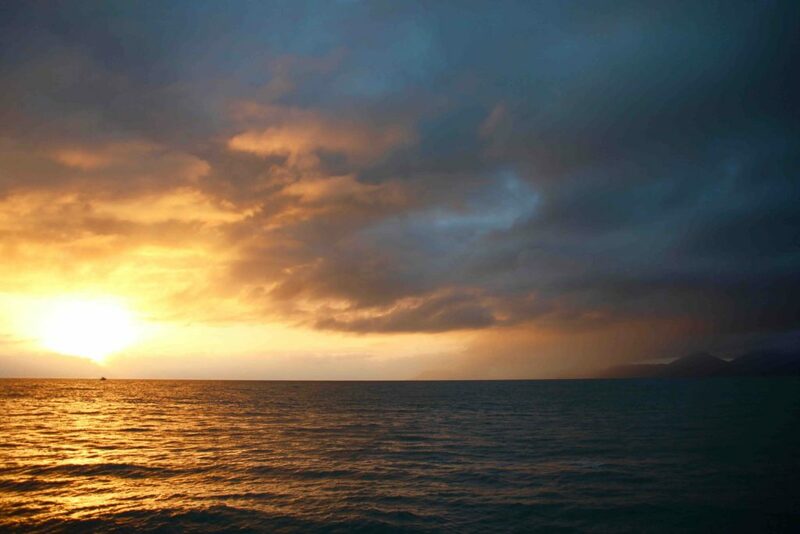 Thanks for the sunrise..
We’re very fortunate to be able to share our adventure. It’s worth all the hard yards to get here!